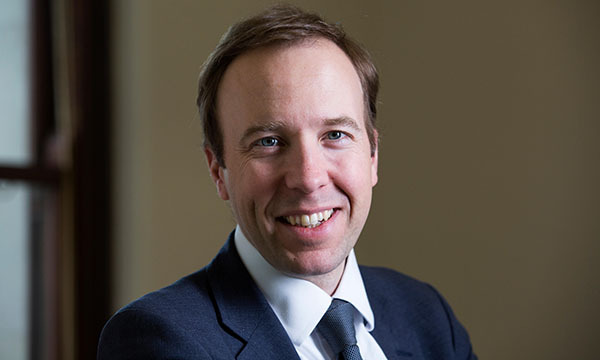 Readers’ panel: What should the new health and social care secretary prioritise? A fresh pair of eyes and a new relationship have potential for good if the priorities of those involved are the same or similar. Mr Hancock has acknowledged that NHS staff feel undervalued, and that the NHS needs modernising, which I agree with. I would like to see a more inclusive platform for healthcare professionals to have input into government policy; we are a rich resource at his disposal, and listening to our views and expertise should be a priority. I welcome Mr Hancock’s focus on technology as the NHS urgently needs a decent, joined-up IT system where information can be shared and stored safely. But moving more care into the community and addressing the ongoing winter crises – which are happening so often they are becoming a Christmas tradition – have to be top priorities. This means listening to NHS staff who experience the daily pressures and rewards of working in the health service, and who know what works and what doesn’t. Mr Hancock needs to prioritise listening to healthcare professionals, and ensure that health and social care services are firmly integrated around the needs of individuals. Patients don’t want health or social care, they simply want care. A truly integrated care system involves working beyond our organisational boundaries to improve services. Coordination between the fragmented parts of the system will improve efficiency and bring financial benefits. More importantly, it will make a real difference to older people and those living with long-term conditions. Health and social care must be depoliticised and long-term strategies devised that recognise how social determinants, such as housing, employment and the environment, can affect health. The bursary should be brought back with immediate effect to encourage people into nursing, and, given the forecasted increase in the number of people who will develop dementia, we need better support for those living with the condition and their families. But in view of this government’s previous track record, I remain pessimistic.